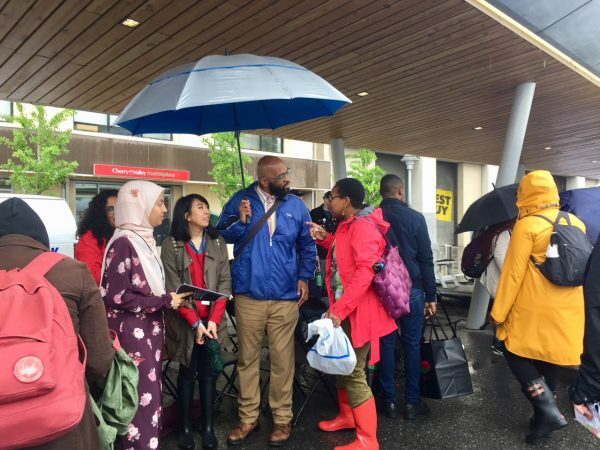 Rainy weather couldn't stop the first ever Bronx Book Festival from being a great success. 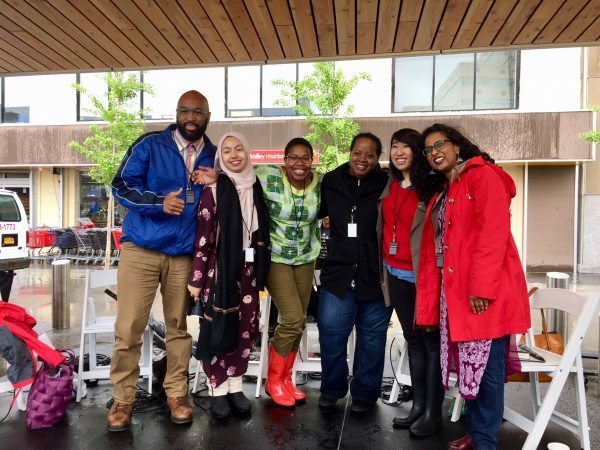 The first ever Bronx Book Festival, founded by Saraciea Fennell, took place Saturday, May 19, at Fordham Plaza in the Bronx. The event kicked off with Fennell in conversation with Daniel José Older (Star Wars: Last Shot, "Shadowshaper Cypher" series) and Elizabeth Acevedo (The Poet X; Beastgirl & Other Origin Myths) and was followed by an excellent lineup of children's, YA, and adult author and illustrator panels and readings for kids and adults. Here's to many more years of the Bronx Book Festival! David Barclay Moore with the right idea. 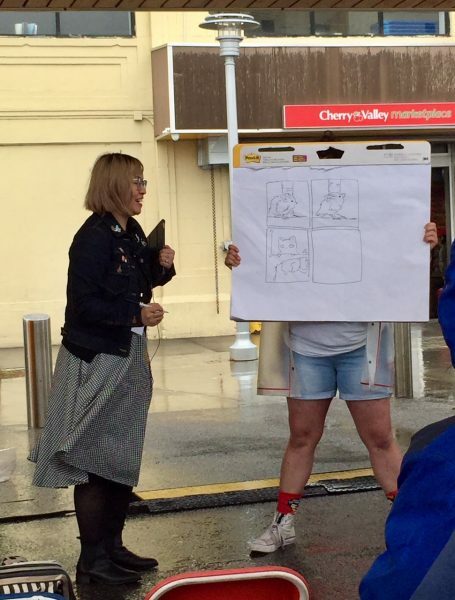 Wendy Xu demonstrates how to tell a story in four panels—with an impossibly cute chicken as the main character.